Etsy is an e-commerce website (etsy.com) focused on handmade or vintage items and craft supplies. These items fall under a wide range of categories, including jewelry, bags, clothing, home décor and furniture, toys, art, as well as craft supplies and tools. All vintage items must be at least 20 years old. The site follows in the tradition of open craft fairs, giving sellers personal storefronts where they list their goods for a fee of US$0.20 per item. As of December 31, 2018, Etsy had over 60 million items in its marketplace, and the online marketplace for handmade and vintage goods connected 2.1 million sellers with 39.4 million buyers. At the end of 2018, Etsy had 874 employees In 2018, Etsy had total sales, or Gross Merchandise Sales (GMS), of US$3.93 billion on the platform. In 2018, Etsy garnered a revenue of US$603.7 million and registered a net income of US$41.25 million. The platform generates revenue primarily from three streams: its Marketplace revenue includes a fee of  5% of final sale value, which an Etsy seller pays for each completed transaction, on top of a listing fee of 20 cents per item; Seller Services, Etsy's fastest growing revenue stream, includes fees for services such as "Promoted Listings", payment processing, and purchases of shipping labels through the platform; while Other revenue includes fees received from third-party payment processors. In November 2016, Etsy disclosed that it paid US$32.5 million to purchase Blackbird Technologies, a startup that developed AI software used for shopping context/search applications. Most sellers are women, who tend to be college-educated and in their twenties and thirties. Individual Etsy sellers decide which payment options to offer buyers; these options may include credit card, cheque, money order, PayPal, bank transfer, and Etsy gift card. Etsy sellers range from hobbyists to professional artists who use the site to make a living. According to artists who have developed their Etsy stores into their primary jobs, scaling up production of handmade items can require more than full-time work, especially during the holiday shopping season. Etsy was one of the main members of the Handmade Consortium, a 2007 effort to encourage buying handmade holiday gifts. Etsy has partnered with the retail chain West Elm to sell some Etsy products in its stores. 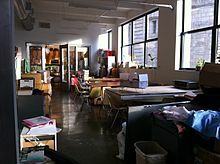 In December 2012, Etsy opened a temporary holiday storefront in SoHo, New York City. Kalin said that he named the site Etsy because he "wanted a nonsense word because I wanted to build the brand from scratch. I was watching Fellini's 8 ½ and writing down what I was hearing. In Italian, you say 'etsi' a lot. It means 'oh, yes' (actually it's "eh, si"). And in Latin and French, it means 'what if.'" In April 2009, users organized an "etsyday" promotion on Twitter that brought extra attention to the site. As of May 2009, it had approximately 60 employees and sales of $10 to 13 million per month, possibly boosted by consumer interest in cheaper and more personalized goods due to the United States recession. In December 2010, Etsy said it had seven million registered users, and that it would continue to focus on a personal community feel as it grows larger, as that is part of what distinguishes it from eBay. On March 3, 2015, Etsy announced that it had filed for a $100 million USD IPO. As of 2015, Etsy generated transactions worth US$1.93 billion on its platform, which has 54 million members. Etsy went public on April 16, 2015, selling 13.3 million shares, while other stockholders including venture capital firms like Accel and Acton Capital Partners were selling the rest. The company's valuation was $1.8 billion and raised $237 million in IPO proceeds. Less than a month later, Etsy stock dropped more than 8%. The stock closed at $30 on its first day of trading on April 16 and dropped down to $20.32 as of May 11. In July 2011, Chad Dickerson, CTO since September 2008, became CEO, upon the firing of Rob Kalin. Later CTOs were Kellan Elliot-McCrea and John Allspaw. In May 2012, Etsy raised $40 million in Series F funding, and announced the company had become B Corporation certified. This funding is partly going toward expanding Etsy in international markets, including France, Germany, and Australia. In June 2014, Etsy purchased A Little Market, a French e-commerce site for handmade goods, foods, and wine, for a mix of cash and stock valued at less than $100 million. At the time the acquisition was the company's largest. In September 2016, Etsy announced the acquisition of artificial intelligence startup, Blackbird Technologies. Etsy Inc. after experience a first-quarter loss in May 2017, replaced its chief executive and cut 8% of its workforce. Board member Josh Silverman was appointed CEO over Chad Dickerson. In May 2017, the company's board replaced Dickerson as CEO with Josh Silverman, citing pressure from shareholders and poor profits. Asked about competitors, Etsy's European CEO said, "As far as I am concerned, the more people highlighting the value of supporting micro-producers and buying handmade and vintage directly from them, the better." Many users are still not content with Dickerson's response. The move has prompted at least one Etsy competitor to distinguish itself by committing never to sell manufactured items. ^ "Etsy.com Site Info". Alexa Internet. Retrieved 2018-11-09. ^ Etsy (June 7, 2012). "Etsy Help: DOs and DON'Ts". Etsy. Retrieved 16 June 2012. ^ a b Walker, Rob (2007-12-16). "Handmade 2.0". New York Times Magazine. New York Times. Retrieved 2007-12-17. ^ Etsy (February 25, 2019). "Etsy, Inc. Reports Fourth Quarter and Full Year 2018 Financial Results". Etsy. Retrieved 25 February 2019. ^ "Alibaba video, Etsy IPO All You Need To Know". Retrieved 29 July 2015. ^ "Etsy paid $32.5 million for AI startup Blackbird Technologies". VentureBeat. Retrieved 2016-11-04. ^ "Etsy - Learn How to Sell on Etsy". Etsy. ^ "Etsy - Shopping Cart". Etsy. ^ "Etsy - Your place to buy and sell all things handmade, vintage, and supplies". Etsy. ^ "Better Ways to Browse: A New Look at the Marketplace". etsy.com. ^ "Etsy - Browse Shopping Categories". Etsy. ^ "Etsy users irked after buyers, purchases exposed to the world". ^ Haley, Jen (2009-01-15). "Turn your skills or your stuff into extra cash". CNN. Retrieved 2009-05-12. ^ Choi, April (2009-04-24). "Artists share love of Earth and crafts". Columbia Missourian. Retrieved 2009-05-12. ^ Arain, Fauzia (2009-05-03). "An Etsy bitsy fashion secret: Spring trends, affordable and online". Tribune Newspapers. Retrieved 2009-05-12. ^ Thompson, Clive (2009-02-23). "Clive Thompson on the Revolution in Micromanufacturing". Wired Magazine. Retrieved 2009-05-12. ^ Tutton, Mark (2008-09-19). "A crafty way to beat the chain stores". CNN. Retrieved 2009-05-12. ^ Silberman, Lindsay (May 11, 2010). "How to Make Money on Etsy". Inc. Retrieved December 16, 2012. ^ Catone, Josh (June 28, 2007). "Swap Meet 2.0: Selling Handmade Goods Online". ReadWriteWeb. Retrieved December 16, 2012. ^ Kelsey Ramos (January 1, 2011). "Online crafts marketplace is vast but not impersonal". Los Angeles Times. Retrieved December 9, 2012. ^ Copeland, Laura (December 4, 2010). "Heavens to Etsy: Online artisan marketplace makes shopping local a cinch". Santa Cruz Sentinel. Retrieved December 16, 2012. ^ a b Miller, Kerry (2007-06-12). "Etsy: A Site for Artisans Takes Off". BusinessWeek. Retrieved 2007-12-19. ^ "Etsy Crafts a Recession Success". eMarketer Digital Intelligence. 2009-05-01. Retrieved 2009-05-12. ^ Etsy. "Etsy Help: How do I select payment methods for my shop?". Etsy. Retrieved November 27, 2012. ^ Etsy. "Etsy Help: How do I accept credit cards and Etsy Gift Cards in my shop?". Etsy. Retrieved November 27, 2012. ^ Alex Williams (December 16, 2009). "That Hobby Looks Like a Lot of Work". New York Times. Retrieved June 14, 2012. ^ a b John Tozzi (December 5, 2012). "No Sleep Till Christmas: Etsy Sellers' Haggard Holidays". Small Business. Businessweek. Retrieved December 16, 2012. ^ Ina Steiner (April 5, 2009). "Touring Etsy.com's Brooklyn Headquarters". EcommerceBytes. Retrieved December 16, 2012. ^ Walker, Rob (2007-12-16). "Handmade 2.0". New York Times Magazine. New York Times. Retrieved 2007-12-17. ^ Allen, Kristen (April 1, 2012). "Etsy gets made in Berlin". The Local Germany. Retrieved December 16, 2012. ^ Daniel Nye Griffiths (April 6, 2012). "Etsy To Fund "Hacker School" Grants For Women". Tech. Forbes. Retrieved June 16, 2012. ^ Mazzoni, Mary (January 22, 2019). "Etsy Shows Leadership on Diversity in Tech". TriplePundit. Retrieved 2019-02-12. ^ Walker, Rob (2007-12-15). "Craft capitalism: Just do it yourself". International Herald Tribune. Retrieved 2007-12-19. ^ Blair, Elizabeth (December 13, 2012). "Etsy Crafts A Strategy For Staying Handmade And Profitable". Minnesota Public Radio News. Retrieved December 16, 2012. ^ Guthrie, Becky (June 3, 2011). "We love Etsy, and so does West Elm — the store will host Etsy sellers June 4". Homes. National Post. Retrieved December 16, 2012. ^ Pride, Ferrell (2014). Marketing 2014. South Western Educational Publishing. p. 486. ISBN 978-1133939252. ^ Orland, Kat. "Web 2.0 Awards (2006) - Interview with Robert Kalin of Etsy". SEOmoz. Retrieved 2010-10-06. ^ "New Roles at Etsy Inc". Storque. Etsy. 2008-07-22. Retrieved 2008-07-28. ^ "Series A Etsy". Crunchbase. Retrieved 2018-03-27. ^ Wilson, Fred (2006-06-05). "Etsy". Union Square Ventures. Archived from the original on 2009-10-05. Retrieved 2007-12-19. ^ Rob Lammle (2011-04-22). "How Etsy, eBay, Reddit got their names". Mental Floss. CNN. ^ Alex Dalenberg (December 2, 2014). "Etsy means whatsy? 35 iconic brand names explained". Upstart Business Journal. Retrieved January 14, 2015. ^ Arrington, Michael (2005-11-08). "Etsy - P2P Commerce with Tagging". Techcrunch. Retrieved 2007-12-19. ^ a b Ryzik, Melena (2007-06-24). "Where the Crafts Babes and D.I.Y. Dudes Are". New York Times. Retrieved 2007-12-19. ^ McCarthy, Caroline (2008-01-30). "Crafty commerce site Etsy gets $27 million in funding". The Social. CNET News. Retrieved 2008-02-27. ^ "Ebay, After Meg". Knowledge@Wharton. 2008-02-19. Retrieved 2008-02-27. ^ Marco, Meg (2008-02-26). "Sellers Growing Increasingly Unhappy With Lack Of Professionalism At Etsy". Consumerist. Retrieved 2008-02-27. ^ Schofield, Jack (2008-02-18). "Arts and crafts for the space age". Netbytes. London: Guardian.co.uk. Retrieved 2008-02-27. ^ Takac, Micki (2009-02-16). "Etsy's Handmade Goods Inspire the Shopper in All of Us". Invention and Technology News. Retrieved 2009-05-12. ^ Lott, Arlene (2009-02-24). "Do You Etsy?". Steven and Chris. CBC.ca. Retrieved 2009-05-12. ^ Baxevanis, Alexander (2009-02-19). "Etsy brings handmade crafts closer to home". Marketing Week. Retrieved 2009-05-12. ^ Kalin, Robert (2008-07-09). "The Long View: Rob & Maria". Storque. Etsy. Retrieved 2008-12-08. ^ Maguire, Chris (2008-08-28). "A Fond Farewell". Storque. Etsy. Retrieved 2008-12-08. ^ Steiner, Ina (2009-04-05). "Touring Etsy.com's Brooklyn Headquarters". AuctionBytes.com. Retrieved 2009-05-12. ^ Johnson, Bobbie (2008-10-15). "Etsy: eBay for arts and crafts". London: Guardian.co.uk. Retrieved 2009-05-12. ^ Fowler, Geoffrey A. (2009-04-24). "How #etsyday Grew on Twitter". Digits. Wall Street Journal. Retrieved 2009-05-12. ^ Miller, Claire Cain (2008-12-22). "For Craft Sales, the Recession Is a Help". New York Times. Retrieved 2009-05-12. ^ Grant, Drew. "Etsy's social media DIY-saster". Professional Imexers. Retrieved 20 March 2011. ^ Evans, Teri (2010-03-30). "Creating Etsy's Handmade Marketplace". Wall Street Journal. Retrieved 2010-03-30. ^ "Amendment No.2 to Form S-1". Retrieved 29 July 2015. ^ Wortham, Jenna (2010-12-26). "Online Bazaar Builds on Its Base With Sense of Community". New York Times. Retrieved 2011-01-01. ^ "Etsy files to go public with $100M IPO". The Verge. Retrieved 2015-03-04. ^ "Etsy Has Filed a Registration Statement for an IPO". Etsy. Retrieved 2015-03-04. ^ "Etsy now has 54M members. They drove $1.93B in sales last year - VentureBeat - Business - by Harrison Weber". VentureBeat. Retrieved 29 July 2015. ^ "Crafts website company Etsy valued at $4 billion in market debut". Reuters. Retrieved 24 March 2019. ^ Gurley, Bill. "Etsy's IPO is a Milestone for New York's Startup Scene". Wall Street Journal. Retrieved 17 April 2015. ^ Long, Heather. "Etsy stock tanks 8% on fears of counterfeit goods". CNN Money. Retrieved 14 May 2015. ^ "Etsy Hid Counterfeiting Problems From Investors, Suit Says - Law360". www.law360.com. ^ moment, I. like making things go! At the; CTO, I. am Etsy's; Factors, I. just recently finished my master's degree in Human; University, Systems Safety at Lund (25 October 2012). "On Being A Senior Engineer". ^ Nassauer, Sarah (2012-04-17). "Busted by the Crafts Cops". The Wall Street Journal. Retrieved 2012-04-26. ^ F., Jeff (2012-01-27). "Etsy Closes Azreal's Accomplice. Cites Policy Infringement". Houston Press. Retrieved 2012-01-27. ^ Killer, Helen (2012-04-21). "The Etsy Featured Reseller: Ecologica Malibu". Regretsy. Retrieved 2012-04-21. ^ Morran, Chris (2012-04-23). "Etsy Features Seller Who May Be Blatantly Violating Etsy Policy". The Consumerist. Retrieved 2012-04-26. ^ Adrianne Jeffries (June 5, 2012). "Controversial Etsy Seller Disappears From Etsy After High-Profile Protest". BetaBeat. Retrieved June 16, 2012. ^ Roy, Jessica (2012-05-09). "With New B Corp. Certification, Etsy Raises $40M for International Growth". Betabeat. Retrieved 2012-05-09. ^ Gillian Tan (June 12, 2012). "Etsy Focuses on Growth Down Under". The Wall Street Journal. Retrieved June 14, 2012. ^ "Town Hall: New Guidelines for Etsy Shops". Etsy. ^ Telis Demos, "Etsy Acquires French Market in Biggest Deal Yet," The Wall Street Journal, June 23, 2014. ^ Lunden, Ingrid. "Etsy buys Blackbird Technologies to bring AI to its search". TechCrunch. Retrieved 2016-09-23. ^ Safdar, Khadeeja (May 2, 2017). "Etsy Replaces Its CEO After Swinging to a Loss". Wall Street Journal. ^ Om Malik (24 August 2013). "Meet the man behind New York's other billion dollar internet company. This one makes money". GIGAOM. GIGAOM. Retrieved 24 August 2013. ^ "Etsy, Inc Competitors List - Hoover's". subscriber.hoovers.com. p. Access Provided by the University of Pittsburgh. Retrieved 2016-03-30. ^ Slatalla, Michelle (2007-01-18). "Rooting Around Grandma's Basement in Cyberspace". New York Times. Retrieved 2007-12-19. ^ Till Dziallas (21 May 2013). "ezebee vom Ansturm überrannt". Internetworld Business. ^ John Cook (September 21, 2010). "Bonanzle buys 1000 Markets, renames shopping site Bonanza". Puget Sound Business Journal. Retrieved December 9, 2012. ^ Christopher Null (18 May 2012). "The 5 Best Online Marketplaces for Selling Handmade Goods". Business. PCWorld. Retrieved 16 June 2012. ^ Jessica Bruder (July 15, 2009). "The Etsy Wars". CNNMoney. Retrieved December 9, 2012. ^ Menno Gazendam (August 16, 2013). "How an online startup has pulled in a growing number of buyers and sellers". Retrieved March 20, 2015. ^ Laura Grace Weldon (3 July 2012). "tINDIE: Like Etsy For Electronic Tinkerers". GeekMom. WIRED. Retrieved 14 October 2012. ^ Gary Caps (22 June 2017). "Why You Should Check Out ArtYah Now". Retrieved 19 November 2017. ^ Dana Kikic (13 September 2011). "Five questions for..." Exberliner. Retrieved 16 June 2012. ^ Jacqui Cheng (15 March 2011). "Etsy users irked after buyers, purchases exposed to the world". Ars Technica. Condé Nast. Retrieved 7 November 2013. ^ Lauren Rae Orsini (30 April 2012). "Etsy CEO responds to reseller controversy". The Daily Dot. The Daily Dot. Retrieved 7 November 2013. ^ "Notes From Chad". etsy.com. ^ "Responses to policy concerns, and a note from Chad - Discussions - Questions - Etsy Teams". Etsy. ^ "Why Etsy's Future depends on redefining 'handmade'". Retrieved 1 July 2014. ^ "Etsy Relaxes Policies, Allows Outside Manufacturing". Retrieved 1 July 2014. ^ "Etsys new policy means some items are "handmade in spirit"". Retrieved 1 July 2014. ^ "Etsy Welcomes Manufacturers to Artisanal Fold". David Gelles, "Inside the Revolution at Etsy," New York Times, Nov. 25, 2017. 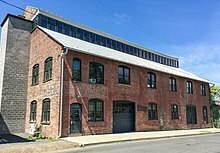 Wikimedia Commons has media related to etsy.